To report the main features of sympathetic ophthalmia in a referral ophthalmology center. Retrospective clinical study. 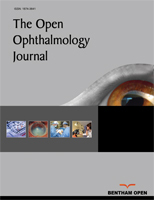 We reviewed clinical records of patients with diagnosis of sympathetic ophthalmia attending the Uveitis Department from 2007 to 2013. Patients were selected by clinical criteria. Descriptive statistics were used to assess variables. Twenty patients were included for analysis, 13 males and 7 females. Mean follow up was 1 year. The median age of presentation was 50 years. Fifty percent had history of ocular trauma and 50% had history of intraocular surgery, of which 40% underwent phacoemulsification. The time between injury and onset of symptoms ranged from 1 to 456 months. Most common ocular manifestations were mutton fat keratic precipitates and anterior chamber inflammation. All patients received oral prednisone as single or combined therapy. Sixty percent of the sympathizing eyes improved two or more lines of vision and 20% lost two or more lines of vision. This report from a single center adds to the body of literature of sympathetic ophthalmia occurring in a specific population. Our data found a high proportion of patients with sympathetic ophthalmia after phacoemulsification. Keywords: Ocular surgery, Ocular trauma, Panuveitis, Sympathetic ophthalmia. © Guzman-Salas et al. ; Licensee Bentham Open.